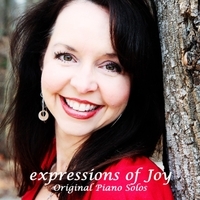 Expressions of Joy reflects my deep appreciation and love of nature, along with works from some of my favorite composers. You'll hear Debussy’s dreaminess, Chopin’s expressiveness, and Rachmaninoff’s robust jazz chords, Beethoven’s sullen darkness, and Liszt’s challenging use of rolling, melodic phrases. As a woman with a hectic lifestyle, I understand how important it is to make time to slow down in order to achieve balance in our lives. My musical expressions are designed to offer you moments of soothing calmness while you are in the car, cooking, reading, or entertaining. © 2019 Joy Britt Reavis. All Rights Reserved.